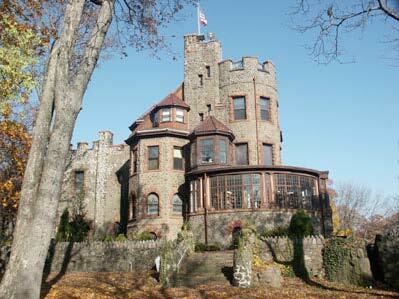 “CASTLES OF NEW JERSEY” will be presented by Philip Jaeger, trustee of the Passaic County Historical Society. Although not as numerous or grand as their European counterparts, a surprisingly large number of castles were built in New Jersey a century or more ago. Phillip’s program includes well-known castles such as the Lambert Castle, Kip’s Castle, our own Pax Amicus castle as well as lesser known throughout our state. Many of the original castles still exist, some have been disguised over the years and others have vanished. Come and join us for this very unique presentation which will enlighten us about the castles that are rich in local New Jersey history, contain a variety of architecture, features and in a few cases, whimsy. These castles remind us of William Faulkner’s words, “The past is never dead. It’s not even past. It is true. The past is still impinging on our present”. Mt. Olive Day's Fair at Turkey Brook Park - MOTHS will sponsor a booth at the activties. Information and items for sale will be available. Come out and join the activities.